WOODINVILLE, Wash., Aug. 20, 2018 /PRNewswire/ — With a legacy dating as far back as 1962, Columbia Winery has been a longtime member of the Seattle area community. 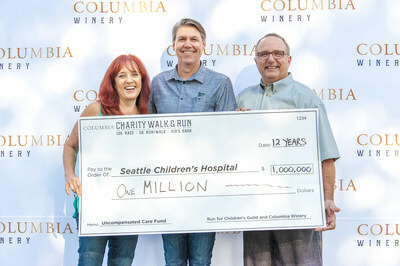 Last weekend brought the 12th Annual Columbia Winery Charity Walk & Run, which has pushed the Woodinville winery over $1 million in donations accrued to support of uncompensated care for Seattle Children’s Hospital. The Columbia Winery Charity Walk & Run has been a cornerstone piece of the 31st Annual Auction of Washington Wines for more than a decade. Taking place over four days, the Auction promotes Washington State wines and is the Northwest region’s most prestigious charity wine event. The Auction has raised over $41 million since 1988, benefitting the wine industry and local organizations. 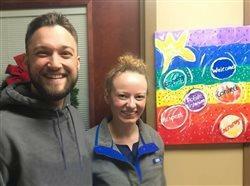 Each year, the fundraising efforts of the Auction and affiliated events such as the Columbia Winery Walk & Run have aided Seattle Children’s Hospital towards their goal to ensure children receive essential health care, regardless of a family’s ability to pay. 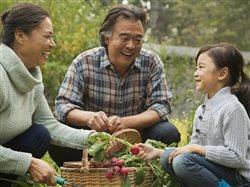 Last year, Seattle Children’s provided over $164 million in uncompensated care to patients in Washington, Alaska, Montana, Idaho and other surrounding states. Of the more than 200,000 patients treated at Seattle Children’s main campus each year, 65 percent need financial assistance. Learn more at columbiawinery.com or more about Auction of Washington Wine’s mission here. The trailblazing Columbia Winery has been discovering and celebrating a legacy, 56 years in the making. Winemaker Sean Hails blends classic varietals with innovative winemaking techniques to craft a distinct collection of Washington wines. Selecting from premier vineyard sites within the Columbia Valley and its acclaimed AVAs, our wines showcase the diversity of the region. Columbia Winery embodies Washington’s welcoming spirit, abundant diversity and exceptional wines.